Wish u and your family A SPARKLING and HAPPY DIWALI! During Diwali one performs Lakshmi Pooja and at the same time crackers like the Lakshmi-bomb are burst. Bursting of this kind of crackers which break our ear-drums, cause more distress to heart-patients, scare children and cause severe not only noise but also air pollution, are not restricted to only Diwali celebrations but have become inseparable part of every celebration like a marriage procession, winning of cricket match and religious or political rallies. Today’s children enjoy frightening a beggar by bursting ‘atom bomb’ near him to scare him rather than giving him some food. This is a mental perversion created by crackers. In a developed country like USA, there is a ban on crackers that make noise. Only sparkling noiseless crackers are allowed to be burst but for that also, permission is required to be taken. If crackers are to be burst on a special occasion, special permission is required. Permission is granted only after ensuring that crackers would be burst at a place away from residential area and would not pose any kind of danger to anyone. It is also seen whether fire-brigade’s service is available at such place. Do we take such safety measures? Only major citizens are allowed to purchase crackers in countries like New Zealand, Europe etc. Happy Diwali which must be taken seriously and educate/teach ourselves and our children about the harm it will cause to the health. If everyone takes this matter seriously, then our country will be free from many health issues. People, be humble, obey the rules and thank God for the beautiful Universe He has created for us and it is our duty to take care of it. God bless you and give you heavenly wisdom. Diwali is a festival of lights not sound. I feel pity on the people ,birds and other animals who cannot bare these loud sounds. People enjoy bursting crackers but in their enjoyment they totally forget the world! .The people who like to burst crackers should burst them at an extent but not more than that.. It spoils the life of birds and animals but also our beloved trees.They do not speak anything but inside deep they die.. .first of all there is lot of pollution due to the vehicles that give out poisonous gases and top of that if we still try to extend the level of pollution by bursting theese crackers our world will be in danger or may be it is……. 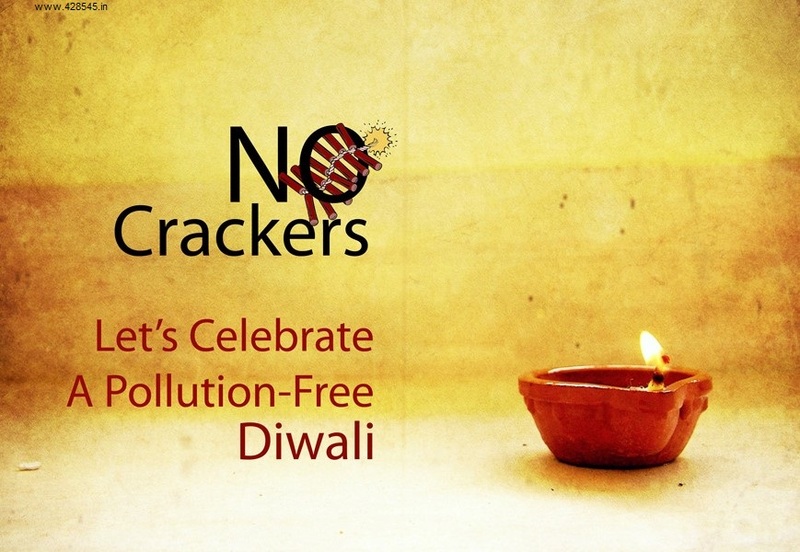 my request to all cracker kovers is that to reduce the bursting of crackers as MUCH AS POSSIBLE…. JUST REMEMBER THOSE BIRDS ,THOSE INNOCENT PEOPLE ,THOSE TREES ANT THOSE ANIMALS WHO CANT BARE THE SOUND AND POLLUTION OF THE CRACKERS THEY BURN….. BURNING CRACKERS IS NOTHING BUT BURNING OUR OWN MONEY, BURNING OUR OWN HARD WORK WHICH DOES NOT COME EASILY….